Welcome to Spay Neuter Kingston Initiative (SNKI)’s microchip clinic registration form. *Update: THANK YOU! The clinic is now full, however, we will be taking walk-ins for $20.00 cash only on the 13th, between 2-3PM. Please make sure you bring a copy of your rabies vaccination. It’s here! 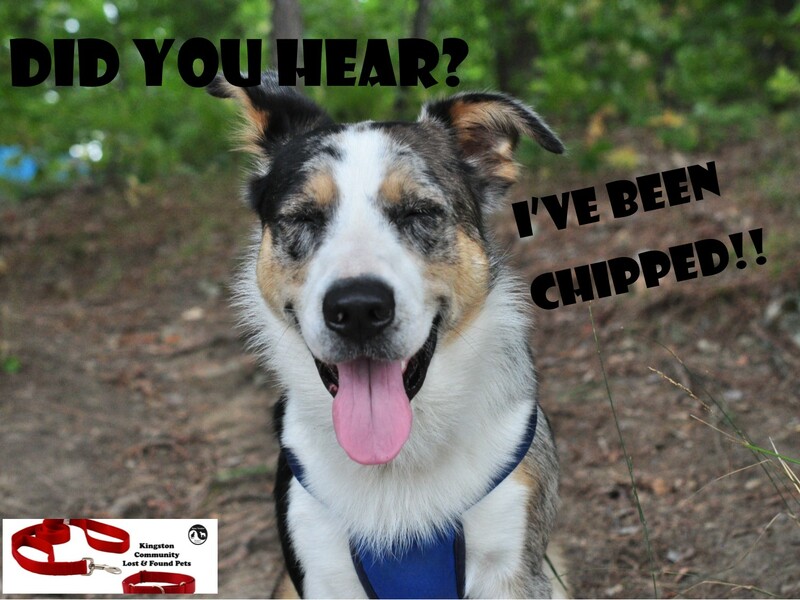 Our next microchip clinic will be Saturday, April 13 from 1:00 to 3:00 pm. Please register for the clinic to secure your spot! On completion and by clicking on the “Submit” button, you will be directed to Paypal to complete payment for the online registration form. Microchipped pets are scanned for free by any vet and shelter. This is key to locating any lost pet should you ever be in the worrisome position of having to look for your critter. We hope you never do but it’s always better to be safe than sorry. For current news check our Facebook page and share on the Kingston Community Lost and Found Pets Facebook page.